I just returned a few weeks ago from studying abroad in Panama City. I went with the LALS and Communication Departments’ one-month long program that they do every summer during May, and I just have to say that this was a great value for the money. The program was about $2,600 for the month not including the plane ticket (they have a package that includes the plane ticket for about $3,500 but I strongly recommend just buying your own plane ticket because it will come out way cheaper, since the plane ticket only cost $590). The program costs include staying in Las Vegas hotel the entire time, six credit hours of classes, and at least a couple of excursions every week, including a a day going to two Caribbean islands and two days at an all-inclusive resort. If you’re worried about funding, you automatically get the Panama Scholars award which varies year-to-year, but this year it was $900; with that funding, in addition to the College of Business grant, I only had to pay for food and spending money– the rest of my trip was totally paid for. If you don’t know any Spanish, don’t worry at all because you’re in groups most of the time, so about the only thing you have to do is order your food at restaurants. Also, most of the youth know enough English to at least help you out. This is a great first study abroad trip (although it was my second) because it’s only 3 weeks, and although they only offer 5 classes with the trip, many of them will cover general education requirements if you need them (for example, Panamanian Culture counts as a CD 1, and Conversational Spanish can be used to fill you foreign language requirement). I assure you that it’s not hard to get there, and you will have the experience of a lifetime. It was tons of fun! 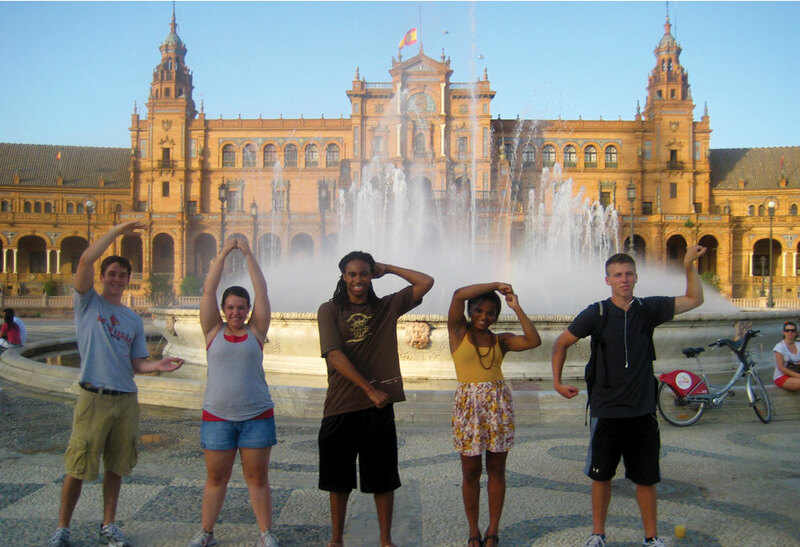 This entry was posted in Study Abroad by cmredm01. Bookmark the permalink.